From your first days as a nervous fresher, to finishing off your final project, the Clifton Library will quickly become a home away from home. It’s a cutting-edge learning space that’s open 24-7 during term time, and built with your needs in mind. So get comfy, and get working! 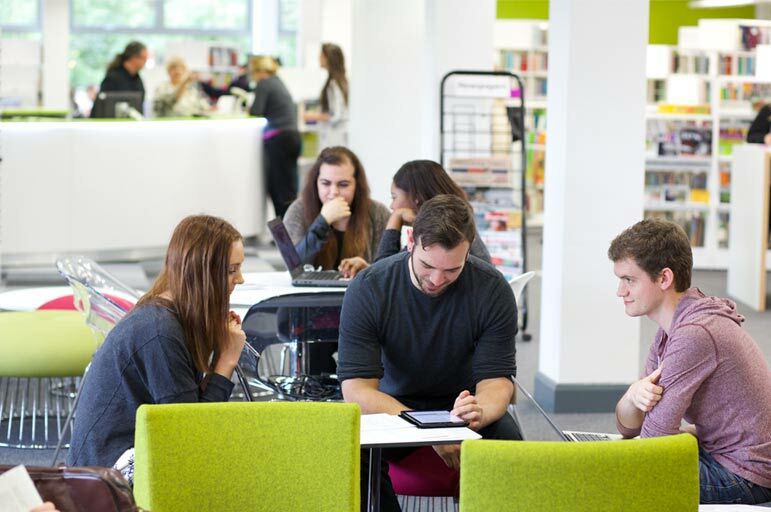 Extensive resources, a wide range of study spaces, and award-winning customer service – what more could you need? If you’re based at Clifton, our library will soon be your second home. That’s why we’ve invested heavily in our collections, facilities and furniture, to ensure that you can learn in comfort. There’s cheerful new décor to keep you inspired, and a brand new layout. You’ll find plenty of PCs, and handy power outlets for your own devices. We’ve also expanded our range of learning spaces – concentrate in quiet comfort, or work with your course-mates in one of our group study rooms. Whether you’re looking for a silent study space, or a decent spot to throw some ideas around, we’ve got you covered. Rest your brain, and stretch your legs – our library’s a thing of beauty, but it’s important to give yourself a break every now and then. Relax in our library's social spaces or, alternatively, the newly-completed Pavilion building is the heart of the Clifton Campus – here, you’ll find café pods, a Barista, and some very comfortable sofas. And next door, there’s the refurbished Refectory. With an impressive lantern roof, it’s built to bring in the sunshine, and bring you back to life. Need some fresh air? Our brand new plaza is a tranquil outdoor space, where you can gather your thoughts in peace. And if you really can’t leave your studies behind, it’s also Wi-Fi enabled.